Securities market regulator SEBI has approved a few changes in the proposed startup listing platform, cutting down on the number of minimum investors while expanding the minimum gardening period before a firm listed on the special trading platform can migrate to the main bourses. In its board meeting on Tuesday, SEBI decided to bring down the minimum investor participation level to 200 investors as against 500 it proposed in the draft norms in March this year. It also prescribed a period of three years after which such startups can move to the main stock exchange platform. Earlier, SEBI had proposed a one-year period for this migration. SEBI also expanded the business domain of firms who can tap into this platform. It said the platform will be made accessible to companies which are intensive in their use of technology, information technology, intellectual property, data analytics, bio-technology, nano-technology to provide products, services or business platforms with substantial value addition and with at least 25 per cent of the pre-issue capital being held by qualified institutional buyers (QIBs) or any other company in which at least 50 per cent of the pre-issue capital is held by QIBs. In March, SEBI had said this platform will be initially open to companies which are in the area of software product development and e-commerce. However, it had kept a window open by adding that it can also include new-age companies having innovative business models. It also doubled the minimum trading lot of shares to Rs 10 lakh in line with the minimum investment size by a single investor. 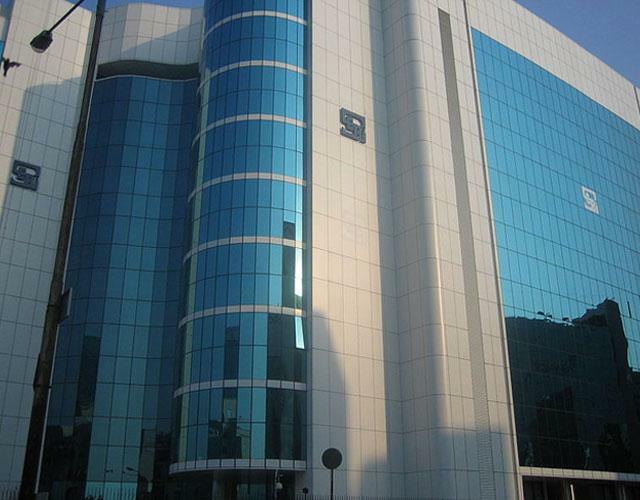 SEBI had earlier proposed minimum trading lot of Rs 5 lakh. Meanwhile SEBI retained bulk of the proposals it floated earlier including the six-month lock-in period for shares held by the existing investors; Rs 10 lakh minimum investment ticket size; limit of 10 per cent of the issue being picked by a single investor and pre-issue holding of any investor not to exceed 25 per cent stake of the firm. SEBI also reiterated that exposure of alternative investment funds registered under its AIF norms to such startups listed on the institutional trading platform would be considered as part of unlisted portfolio to comply with their own investment conditions. Currently such funds have a prescribed limit on their exposure to unlisted firms in the country. SEBI also said that the firms that are planning to list on the proposed trading platform would be relatively free in determining the issue price. "As the standard valuation parameters such as P/E, EPS, etc. may not be relevant in case of many of such companies, the basis of issue price may include other disclosures, except projections, as deemed fit by the issuers," according to the SEBI circular. UK Sinha, chairman of SEBI, said the relaxed provisions are aimed at encouraging Indian startups to list in the country. "Indian startup space is very vibrant and the country is ranked number five as far as startups are concerned. More than 3,100 startups are there in the country and a large number of M&As have also happened. However, most of these startups were thinking of listing outside... We have made a very special provision for start-ups," Sinha told reporters in Mumbai after the quarterly meeting. "We welcome the new guidelines for creating a new ITP for startups and technology companies which will propel these companies to consider India as an option for listing, something which they had ignored due to the difficulties in complying with the guidelines," Harish HV, partner at advisory services firm Grant Thornton India. Harish was part of the expert team at Ispirt (Indian Software Product Companies Round Table), the industry think tank which has been pushing for favourable regulatory environment for startups. "While there may be elements of the guidelines which may need relook based on experience, we believe this is a great start. US has also developed such guidelines recently and SEBI has done it in parallel practically which shows its foresightedness. We expect that the startups take note of this and will actively consider and list in India so that the wealth generation from this segment is available to Indians. We believe there is a good appetite among startups to consider listing in India," he added. The policy deliberations at various levels on encouraging startups to list in India kicked off with SEBI board members meeting founders and investors of startups under the aegis of Ispirt in Bangalore in the third week of December last year.